Alta Vista Condominiums in 2 sentences: Once renown as the kingpin of luxury condos in Arlington with its massive sunrooms, great views, and plentiful amenities, the Alta Vista community is still going strong after it recently passed its 25 year anniversary. In real estate, location is always stressed; that could not be more apparent for Alta Vista which holds the most convenient location in Ballston and towers over the Ballston VA skyline. 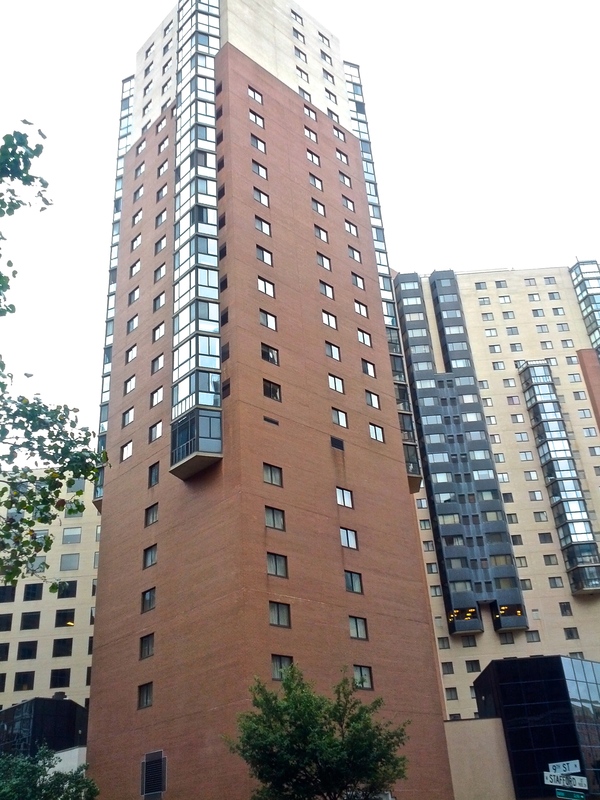 The Alta Vista Condominium is located at 900 North Stafford Street in the center of Ballston. 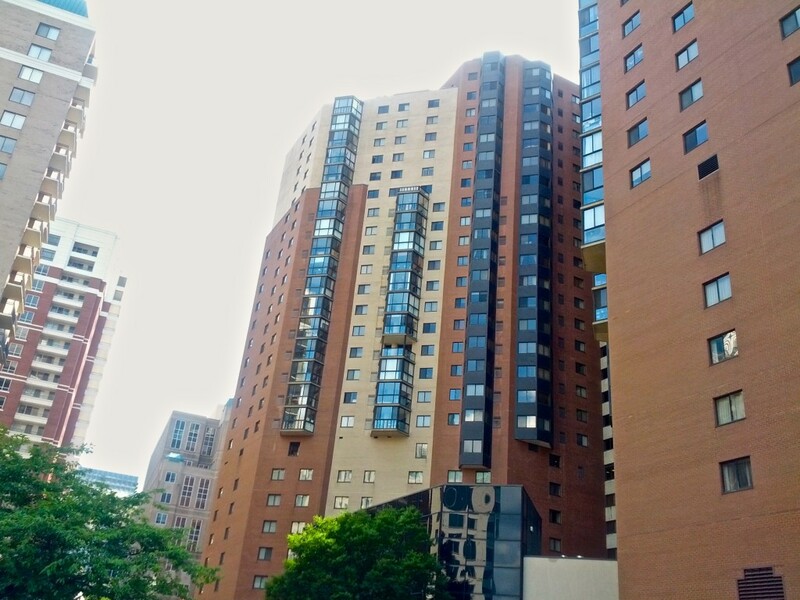 This community is 26 stories tall and has just over 270 residences. Alta Vista is the prototypical Arlington urban high-rise community. Residents are welcomed into the building by the concierge at the front desk, which is the first of many amenities in the community. The building is located directly on top of the Ballston Metro meaning that residents can take the elevator right down to the Metro. On the way home, residents (and only residents) have access to take the elevator from the Metro back up to their floor without going outdoors. The architecture that features bright sunrooms was prominent at the time of construction as other buildings such as The Atrium, East View, and West View all feature similar layouts. Residents use these for reading rooms, workout areas, as dining rooms, or for storage. The good thing is that you get the extra square footage, but the trade-off is that since it is almost all windows, insulation can oftentimes be poor. Once you get to the penthouse level on the 26th floor, the sunrooms disappear and instead, residents get to enjoy large terraces overlooking Ballston. The views are decent. Liberty Center will have better views, but it is really hard to complain about an outdoor terrace sitting atop the Ballston skyline. Similar to The Waterview in Rosslyn, the Alta Vista has a hotel on the premises. The Hilton Hotel occupies floors two through seven of the building, while the Alta Vista condos start on the eighth floor. Both the hotel and the condo have lobbies on the first floor which are separate from one another. Since the commercial space makes up a significant portion of the community, those interested buyers need to be sure that their lender can do business in the building. Most lenders are not able to close loans in the Alta Vista. This is not a notable drawback simply because all listing agents are aware of this (or at least they should be), and those lenders that are able to do business in the community are really good at serving this market. The hallways in Alta Vista Ballston were at one point a drawback. Recently, light fixtures in the hallways were replaced and the hallways are now much brighter compared to the older, darker hallways that once made up Alta Vista (h/t Dale). Amenities at the Alta Vista condominium include a fitness center, on-site management, 24/7 concierge, and an eLounge. The eLounge used to be known as the party room and was recently renovated. It is now open 7 am – 12 am and features a full kitchen, 70 inch HD TV, and plenty of seating and tables. The Free WiFi in the eLounge is also a great asset whether you are lounging with friends, taking a day off from work, or working from home. has been recently An individual at the front desk is really helpful to handle packages and any visitors. So long as the Alta Vista Condominiums continues to adapt and upgrade as the years go on, the community will continue to be relevant in talks of the best condos in Ballston. The setup is unique having The Hilton Hotel take up the first eight levels. The Alta Vista is perfect for someone who needs to be a block away from the action. Restaurants line Wilson Boulevard and Fairfax Drive. You can find everything you need in Ballston and if you need to go into the city, you have arguably the most convenient trip starting from the time you step out of your front door until you step onto the Metro. 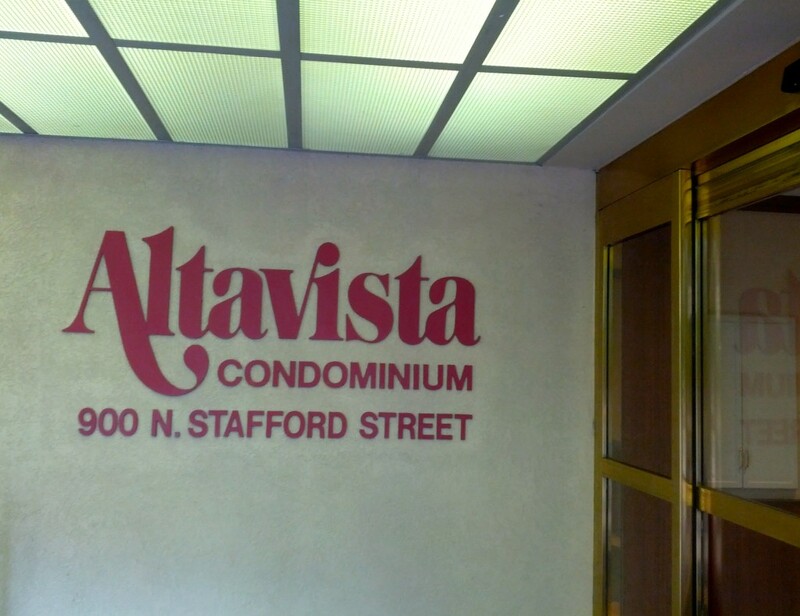 This convenience will never change and always give Alta Vista a one-up on the competition of other condos in Ballston.